We were lucky enough to be asked to make flowers to complement Anna Campbell's anniversary collection- Eternal Heart. 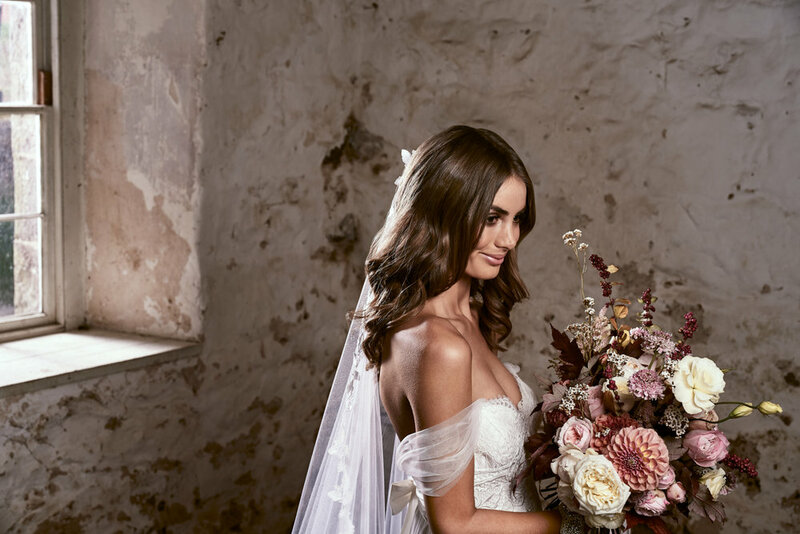 These stunning gowns were paired with our romantic, loose and antique floral. We used muted autumnal tones with whites and ivories. Flowers included garden roses, dahlia, lisianthus, Currant Berry. This photoshoot is currently being featured on The Polkadot Bride, to see all the images head over here. Photographer Jessica Apap and hairstylist and makeup artist Melonie Santos as worn by Britt Rose Nicholas.